Light sources are essential for any emergency preparedness plan. It is crucial to be able to see what you are doing and where you are going in an emergency. Children and individuals with special needs especially need light not just to see, but also to feel safe. It is nearly impossible to cook food adequately without a light source. Luckily, fireplaces and emergency stoves generate light as well as heat to use when cooking. It is recommended by preparedness experts to have several emergency light sources available. When emergency light sources are mentioned, most people think of flashlights. Flashlights are great because they are small, portable, and easy to use. Flashlights are good for directional light, but they are not as effective in lighting up a whole room. Innovative batteries can be recharged many times, even by the sun. Rechargeable batteries are one way to be sure you will have continual power for your flashlights. Be sure to purchase a battery charger for your rechargeable batteries. We recommend having a flashlight at your bedside in case of an emergency during the night. Another option is a hand crank flashlight. 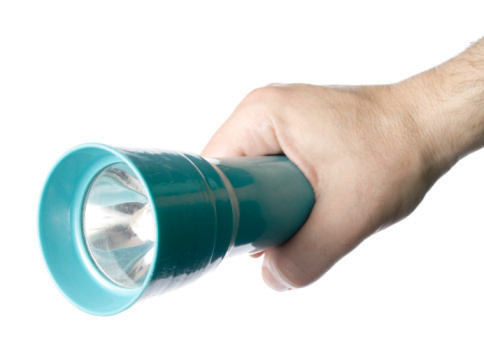 This type of flashlight has a lever that you crank or pump for light. One of the advances in preparedness is the LED (light emitting diode) bulb. These bulbs use space-age technology that allow an incredible life span of thousands of hours and emit a bright light. They do not have a sensitive filament to break and can withstand much abuse. Many cars and homes are now switching to this new type of light. LED flashlights are highly recommended for any preparedness plan because of their longevity and reliability. A favorite type of LED for an emergency are headlamps. Their lights leave your hands free and are very lightweight. Other sources of light are old-fashioned decorative kerosene or lamp oil lanterns. Not only are they great for emergencies, but they are also classic decorations. In the category of liquid fuel lamps, kerosene and lamp oil lanterns are the safest type of lanterns for indoors, and they put off a good amount of light. There are all kinds of sizes, styles, and types of lanterns you can buy. Propane lanterns are quite common because people have them for camping. For the most part they are not recommended for indoor use because of lethal fumes, but there are some new propane heaters available on the market that are safe for indoor use. These propane heaters have automatic shut-off valves and will shut down if there are low oxygen levels. Otherwise, propane should only be used outside or indoors where there is a lot of airflow. Candles are a very reliable light source because all you need is a match to light them. Wax candles are inexpensive and easy to have around the house. Scented candles are great decorations and can provide a comforting and warm smell during an emergency. There are also liquid paraffin candles that last longer than wax candles, and liquid paraffin is smokeless and odorless, which is nice for indoors. The longer the wick, the more light it will emit. It is recommended to store different sources of emergency light. One source that is highly recommended to store is a chemical lightstick. These lightweight and easy-to-use lights are great in case of possible flammable fumes or gas spills. They are completely safe in any emergency and will offer light up to 12 hours. When you are preparing yourself and your family for emergencies, don't forget about light sources. Consider how much light you will need for your house. Be sure to consider the people in your house who will need lighting. When the power does go out, you will be thankful you took the time to prepare.